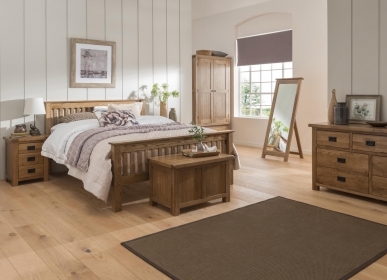 A king sized bed with a low foot end, this fine example from the Rustic range has a traditional feel. 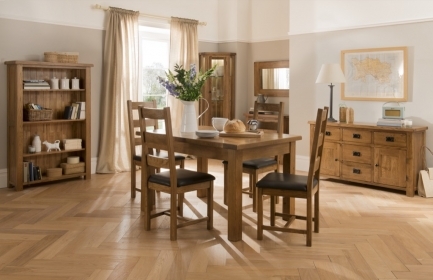 Stylish and presented in a lacquered rustic finish, it is handmade using traditional techniques, which makes the bed sturdy and durable. 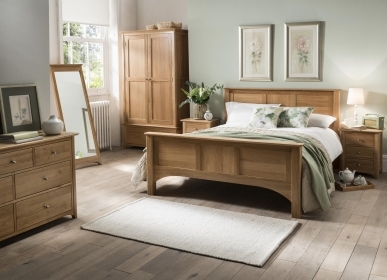 Constructed from quality, solid American White Oak, this superb bed is a fine investment for any bedroom. 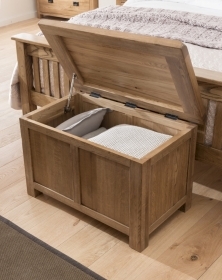 The 6’ low foot end bed is low maintenance, as it is lacquered and so will not require re-waxing. Simply dust and polish as usual.